Advancement is the process by which youth members of the Boy Scouts of America progress from rank to rank. Every Scout activity moves a youth toward three basic aims: character development, citizenship training, and mental and physical fitness. Advancement is one of the eight methods used by Scout leaders to help Scouts fulfill the aims of the BSA. Refer to the Guide to Advancement for the most current advancement policies, procedures, and resources. The Cub Scout advancement program is designed to encourage the natural interests of a boy or girl. Each of the ranks and awards in Cub Scouting (Bobcat, Tiger, Wolf, Bear, Webelos, and Arrow of Light) has its own requirements. As a boy or girl advances through the ranks, requirements get progressively more challenging, matching the increased skills and abilities of a boy or girl as they grows older. 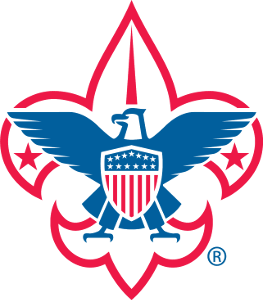 Cub Scout Learning Library - Access Cub Scouting tools, including detailed information on the Cub Scout advancement program and requirements. Boy Scouts provides a series of surmountable obstacles and steps in overcoming them through the advancement method. The Boy Scout plans his advancement and progresses at their own pace as they meets each challenge. The Boy Scout is rewarded for each achievement, which helps them gain self-confidence. The steps in the advancement system help a Boy Scout grow in self-reliance and in the ability to help others. Boy Scout Advancement and Awards - Access Boy Scout specific resources, requirements and forms. Eagle Scout Resources - Learn about the steps required to earn the Eagle Scout rank and find resources for service projects and recognitions. There is more to merit badges than simply providing opportunities to learn skills. There is more to them than an introduction to lifetime hobbies, or the inspiration to pursue a career—though these invaluable results occur regularly. It all begins with a Scout’s initial interest and effort in a merit badge subject, followed by a discussion with the unit leader or designated assistant, continues through meetings with a counselor, and culminates in advancement and recognition. It is an uncomplicated process that gives a Scout the confidence achieved through overcoming obstacles. Social skills improve. Self-reliance develops. Examples are set and followed. And fields of study and interest are explored beyond the limits of the school classroom. Merit Badge Requirements - View the official listing of merit badge requirements. Venturing Award: All Venturers are encouraged to earn this award shortly after joining a crew. Discovery Award: This award focuses on participation in a crew activities and events. Pathfinder Award: Leadership must be demonstrated to earn this award. Summit Award: While mentoring is a key part of the entire Venturing program, the Summit award is earned by Venturers that utilize their skills and leadership abilities to help others advance and grow. Venturing Achievement Awards, including Ranger, Quest, and TRUST, can also be earned by interested participants. Venturing Awards - Learn more about awards available within the Venturing program.